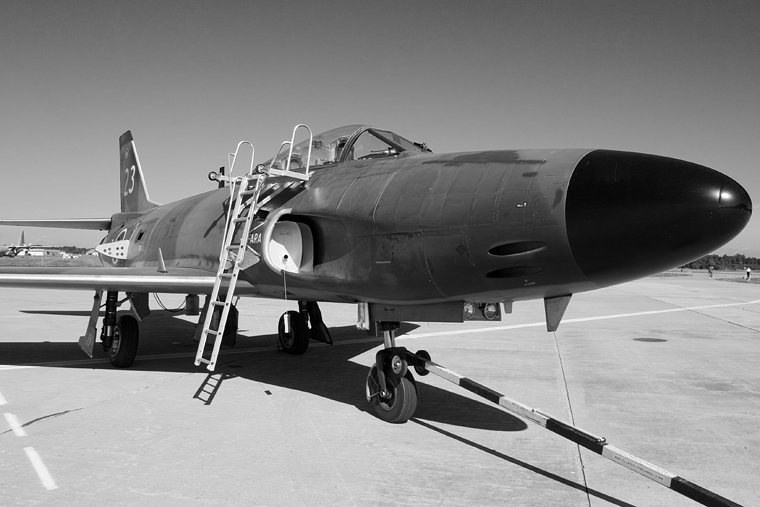 Few fighter aircraft have had the distinction of remaining in military service for more than 40 years. Their longevity is a testament to their construction, the ingenuity of their designers and the dedication of those who were assigned to maintain and pilot such aircraft. 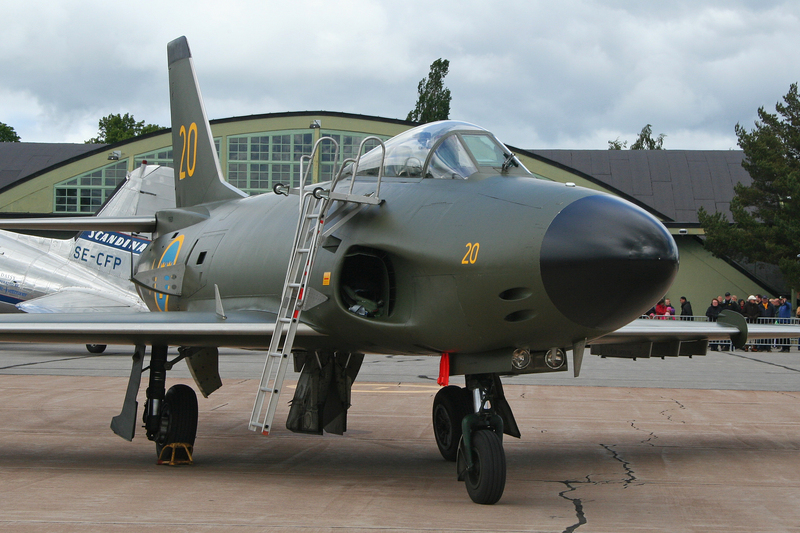 The Saab 32 Lansen was one of these particular planes flying a career of over 41 years in Swedish service. If you can’t tell by now after my writeup on the Viggen, I’ve become a huge fan of Saab Group, especially taking into consideration the amazing jets they’ve produced over the years. The Lansen was one of the factors which brought me into Saab fandom. With fighter jets comes an inherent tendency for temperamental behavior exhibited by these aircraft, accidents and crashes not always the fault of the pilot but rather of the plane itself (i.e. mechanical failure for example). The Lansen was one of those outliers, a tidy aircraft with a very unremarkable 41 years in active-duty service, but highly reliable, practical and easy to fly. Former Swedish Air Force pilots who were privileged with the opportunity to fly Lansens loved them because the aircraft did as it was told, flew as it was designed to do. The Lansen was born of an SAF project to supplant their obsolete propeller-powered attack, recon and night-fighter birds. They issued a set of requirements that seem to have become a standard for design when it comes to Swedish aircraft: rugged, easy to maintain, all-weather and able to take off and land on crudely-fashioned runway strips or roads. The program was for the first time tasked with creating a jet fast enough to reach coastal Sweden to perform as an offensive/defensive aircraft, thereby forming a “maritime strike” plane. And so, the Swede-geniuses at Saab AG put on their thinking caps and got to work. With a brand new fuselage, reminiscent of the American Lockheed P-80 Shooting Star, the Lansen quickly took shape, supplemented by swept-back wings optimized for greater speed. It was given an axial-flow jet engine, a license-built Rolls Royce derivative called the RM5 produced by Volvo Aero. In fact, the Lansen’s wings were designed with the help of computers; one of the first aircraft to be partially planned out with the use of computer technology. In a dive, the 32 was able to go transonic, thanks in part to the aerodynamics achieved with the 35o swept wings. The 32 first flew in 1952, quickly acing its testing and approval phases from the SAF, accepted into frontline service in 1956. The SAF’s Lansen fleet consisted of three variations: a maritime strike/ground attack version, an all-weather fighter outfitted with a stronger engine and a photo-recon bird. Later on, some Lansens were refitted as electronic warfare aircraft and target tugs as they began to be replaced in service by newer Saab aircraft. As was mentioned earlier, the Lansen’s service with the SAF was largely unremarkable. 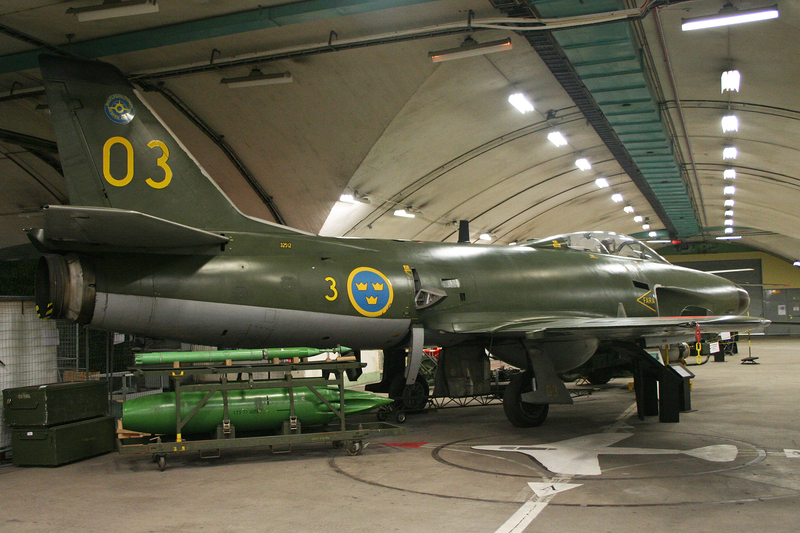 Production of the aircraft shut down after the 450th airframe rolled off the assembly line and further redesigned and modified prototypes offered by Saab were declined by the SAF’s acquisitions boards. None of the 450 Lansens built were ever exported to other countries, leaving it solely a Swedish aircraft. The last of the Lansens, target tugs and EW birds, retired in 1997, though two airframes were kept airworthy for scientific use. These two Lansens actually assisted the Swedish government in retrieving volcanic ash samples in 2010 after a massive Icelandic volcanic eruption.